Listen, internet. You know how people get about Dark Souls. It’s a game that often forces you to cling to desperate hopes in the face of overwhelming despair, and that perseverance often extends to their desires for the game itself. Like when hoping for cross-play in Dark Souls Remastered. Eager for digital companionship? Check out the best multiplayer games on PC. 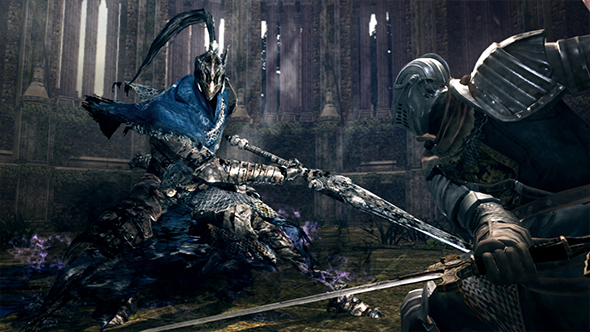 It would be a stretch to say there were rumours of cross-play for the game – more like vague hopes based on the increasing number of games in general supporting the feature – but Bandai Namco have confirmed to IGN that Dark Souls Remastered will not feature cross-platform play. The cross-play dream has been buoyed by recent titles like Rocket League supporting multiplayer across PC, Xbox One, and Nintendo Switch, but Sony’s reticence to join the party (at least with competing consoles, if not PC) has left the dream incomplete. I’m still looking at that time Fortnite “accidentally” enabled the feature with a raised eyebrow. We see you, Epic. But, for now, you’ll have to prepare to die alone. In Dark Souls, that is.